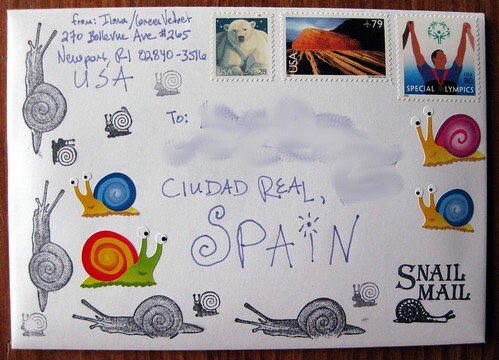 Behold the fruit of another swapbot swap: Snail Mail :]. The instructions directed, "just make sure it is snaily!" I'm all over snaily... 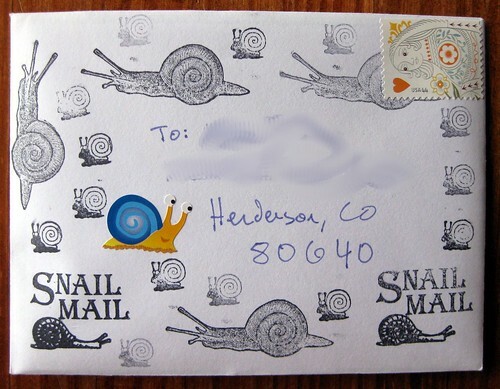 I've got quite a few snail stamps and stickers, but I'm always on the lookout for more. 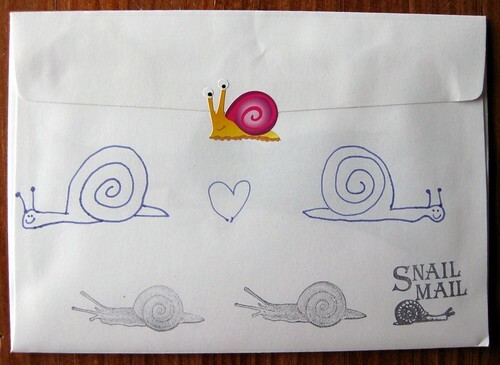 I think I need a "snaily" stamp!! 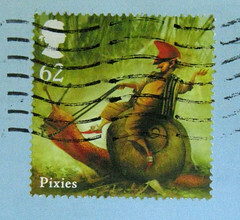 I have to find a snail stamp too wow . this envie is awesome my dear . Have a wonderfull new year . 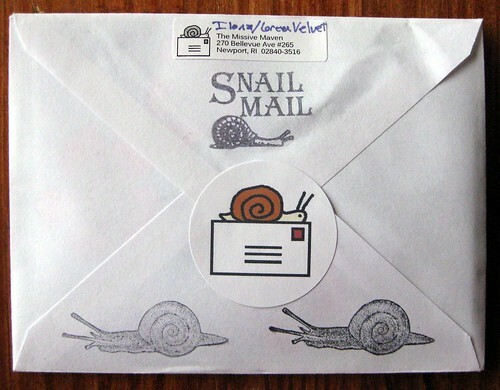 i need snail stamp too!